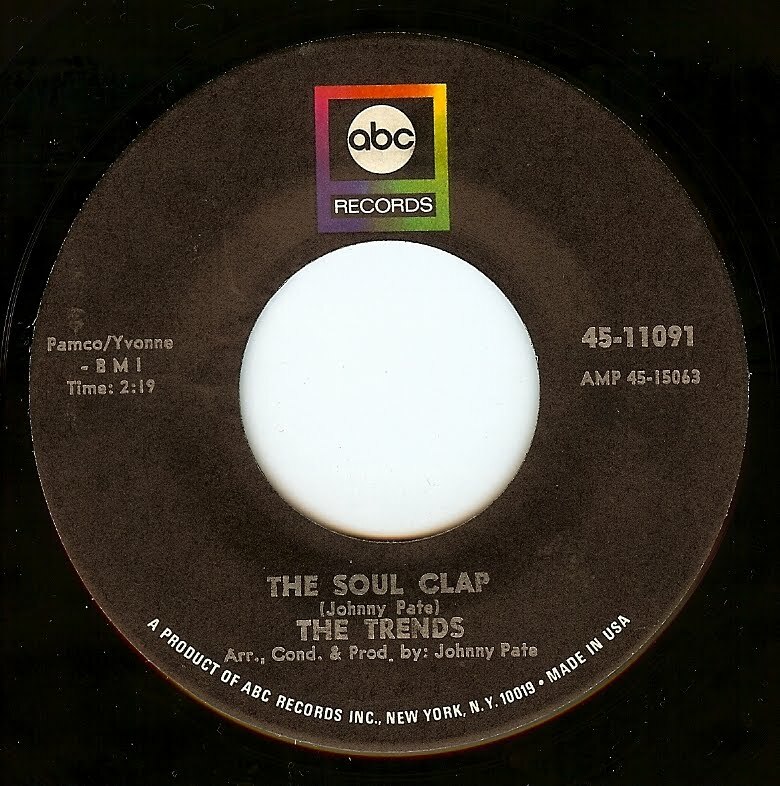 From Chicago's west side, the Trends were a group that was picked up by brilliant producer/ arranger Johnny Pate. 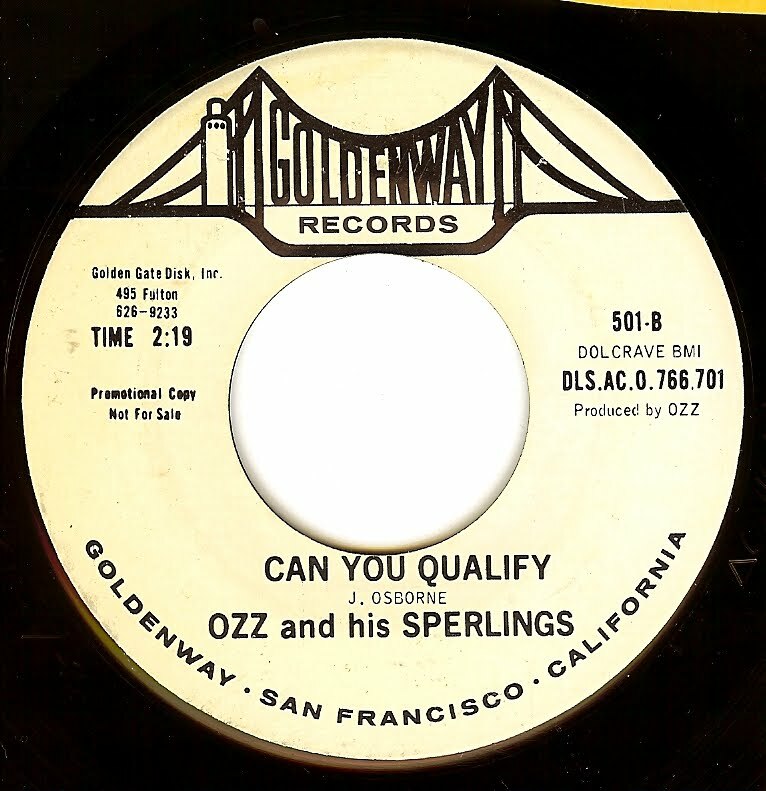 While the quality of their work was consistently good, they never had any national hits. 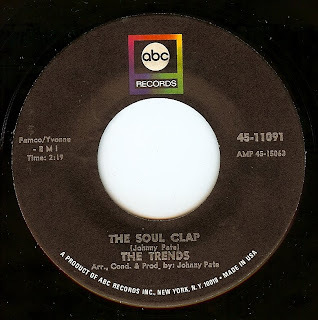 I love this two sider which shows off the versatility of the group- "Soul Clap" is a great dancer and "The Big Parade" is a very pretty, atmospheric number that shows off their lovely vocals. I just love the classy, brassy uptown arrangement of "I Won't Be Hurt"; a great song from Albion, MI's fabulous Sensations (there's also another unrelated group with the same name from Philadelphia). 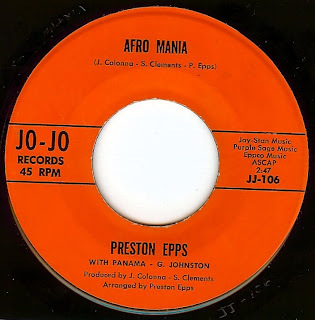 Flip the record over, and "Get On Up Mama" is an out and out stormer that shows they type of influence James Brown's new thing was influencing the soul scene. 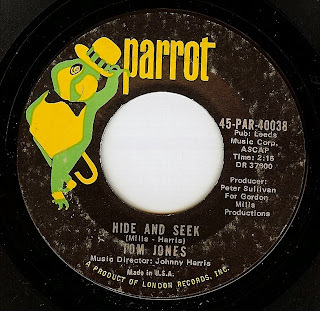 Tom Jones proves himself to be the Welsh equivalent of Jackie Wilson on this cut that truly taps into the magic of r&b. And to think, this gem was hidden away as a B-side!!!!! Possessing the type of voice that proudly shows its roots which began singing gospel in her families group at age 6, by the time Linda cut this record at age 23 she was a well seasoned vocalist that gives a breathtaking performance on this record. Sadly, Linda was diagnosed with diabetes and died between afternoon and evening shows at New York's Apollo when she was only 27 (1972). Showmanship, charisma, great songs and top notch musicianship- Boston's REMAINS had it all. While they also made an appearance on the Ed Sullivan show and also had an opening slot on the Beatles '66 US tour, for some reason the Remains never broke through to the big leagues where they belonged. Just take a listen to the trumpet line that comes into this song at about :45. 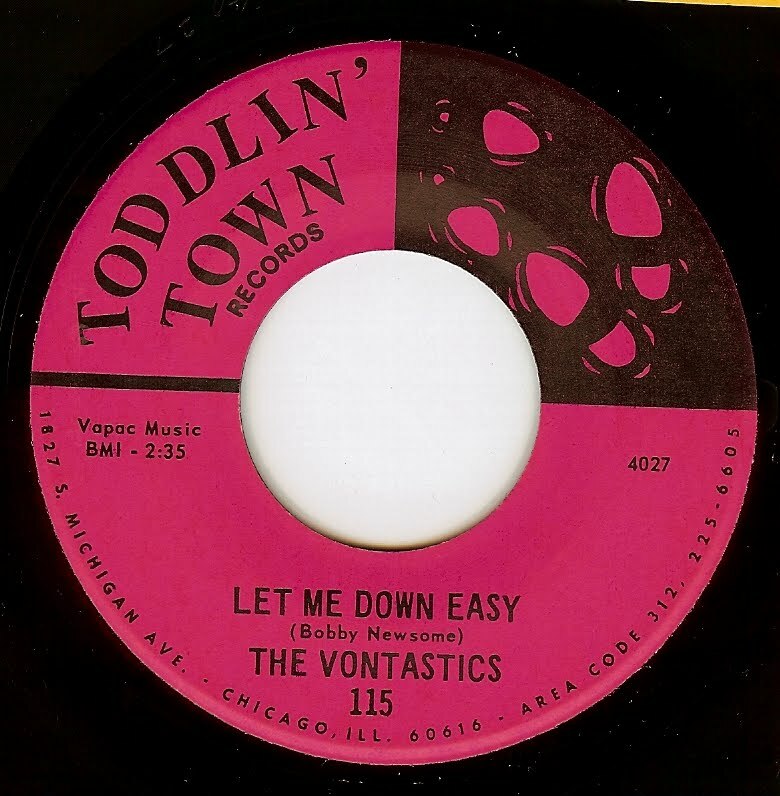 Pure genius, pure class and the epitome of Chicago soul. 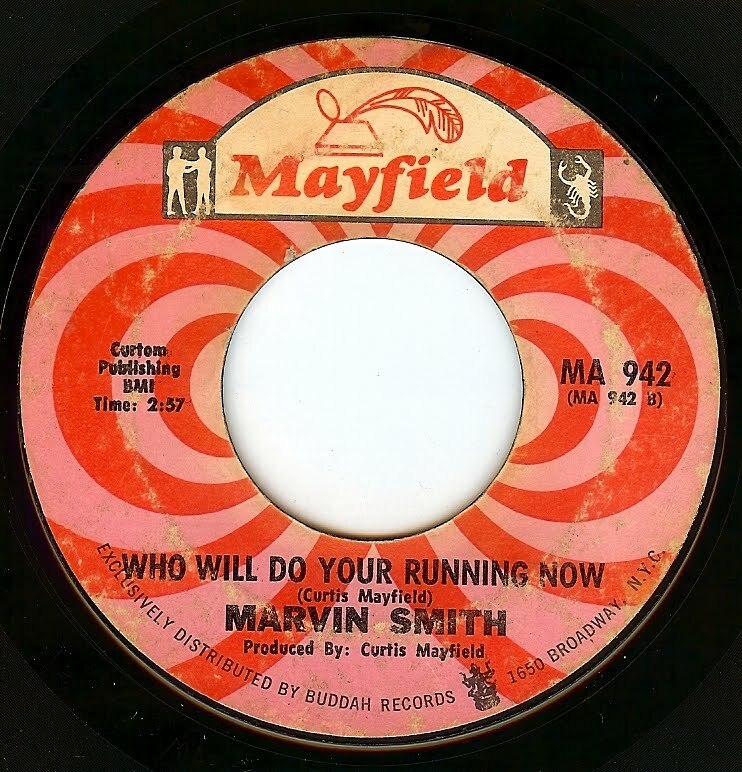 Let's not forget Marvin Smith's incredible vocal (Marvin was also the lead singer of The Artistics, one of the finest groups not only from Chicago but anywhere, in fact) on this excellent song from the pen of Curtis Mayfield. I could string together a chain of adjectives and none could completely describe the greatness of Curtis. 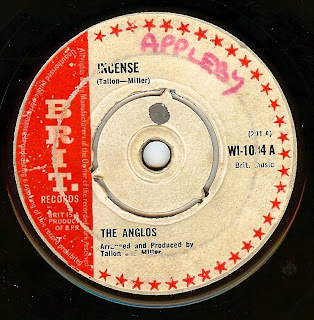 The b-side ain't too shabby either. I'm thankful every day that there is music this superb to enjoy. The Sandy Wynns heard here is actually Edna Wright; a brilliant Southern California singer who found her greatest fame (much deserved!) 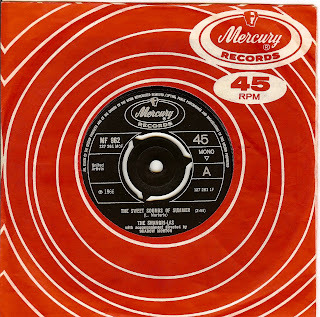 as lead singer of early 70's pop soul group the Honey Cone. 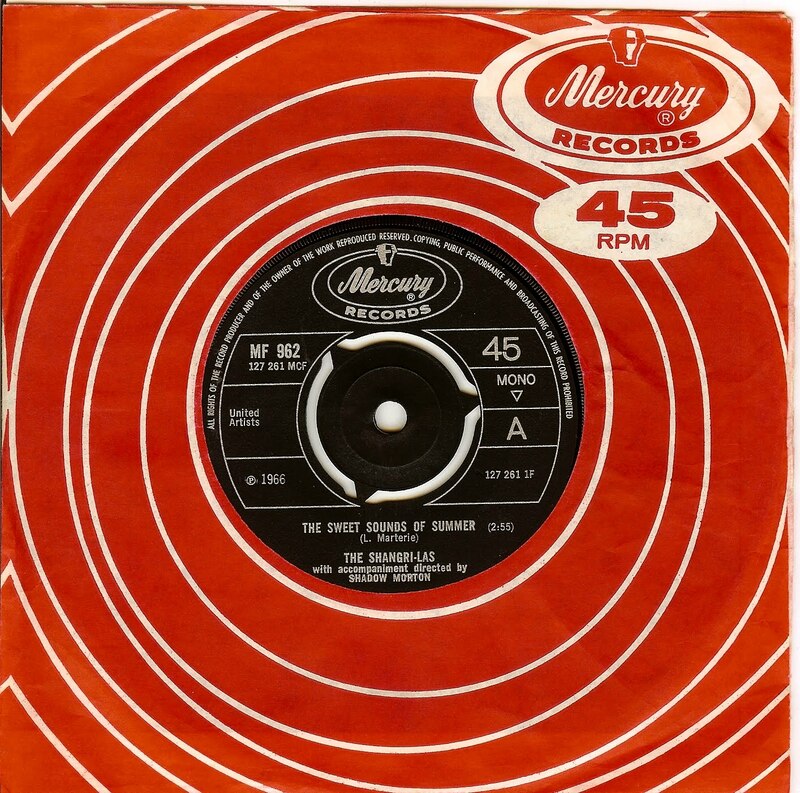 Prior to her foray as Sandy Wynns, Edna was also a member of the Crystals where she sang with her sister Darlene Love on the classic 'He's A Rebel"! 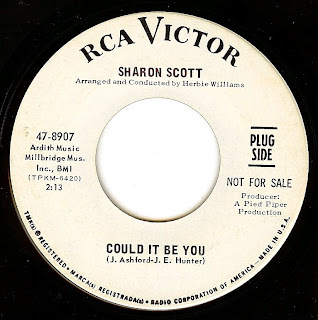 Sandy/ Edna's vocal performance on this song is the stuff of legend showing incredibly precise pitch within daring vocal glissando's that give the song an ethereal quality. I saw Edna front the Honey Cone a few years back, and she most certainly still has IT; her powerful voice hasn't faded at all and still can blow the roof off! 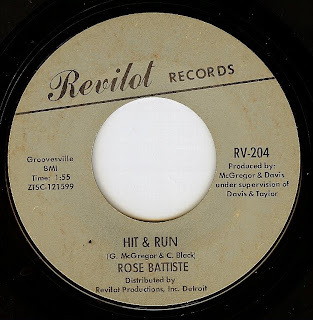 The late producer/ songwriter Ed Cobb also has a mind boggling incredible resume; as a songwriter he penned such greats as "Every Little Bit Hurts", "Tanted Love", as well as working with legendary psych group The Chocolate Watchband. 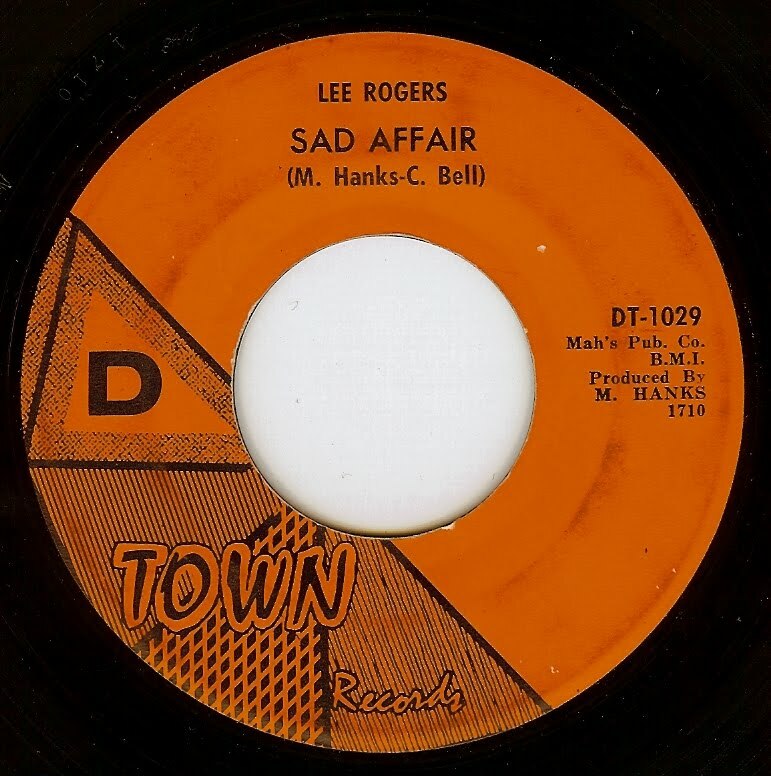 Although the quality of releases from Detroit's Lee Rogers was incredibly high, he only had one minor national hit ("I Want You To Have Everything" hit #17 on the Billboard R&B charts). Lee certainly deserved more; this is (I think) the sixth side of his that I've featured on this blog. Sounding eerily similar to Marvin Gaye, this ominous cut is one of those records that has a great moody edge but it's still a great "mover". Incredible! CHARLES CONRAD - ISN'T IT AMAZING? A lovely message to help shake away the Monday blues! 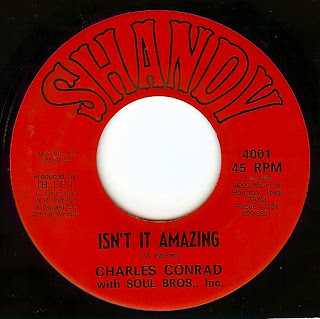 All I know is that Charles Conrad was from Houston, TX and that showed off a beautiful, rich voice on this sweet track. 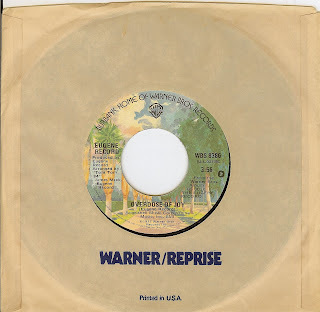 Plus, any records with those nifty little melodic hooks on the intro (here played on xylophone) always grab me. Any more info would be appreciated as always. 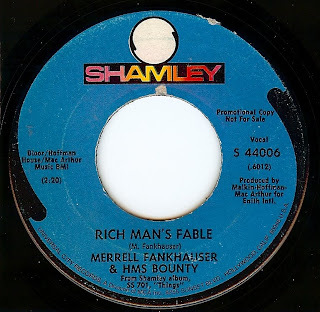 Perfect for the final, waning days of summertime, this song was recorded in the last days of girl group giants The Shangri-Las (it was their second to last release, before the hurt of the music business and litigation stopped their run of superb singles). As it was 1967, this record follows the brief trend of psychedelic meltdown bridges (think "Susan" by the Buckinghams and "My World Fell Down" by Sagittarius) amidst the gorgeous lamenting verses with their patented, street tough New York harmonies. 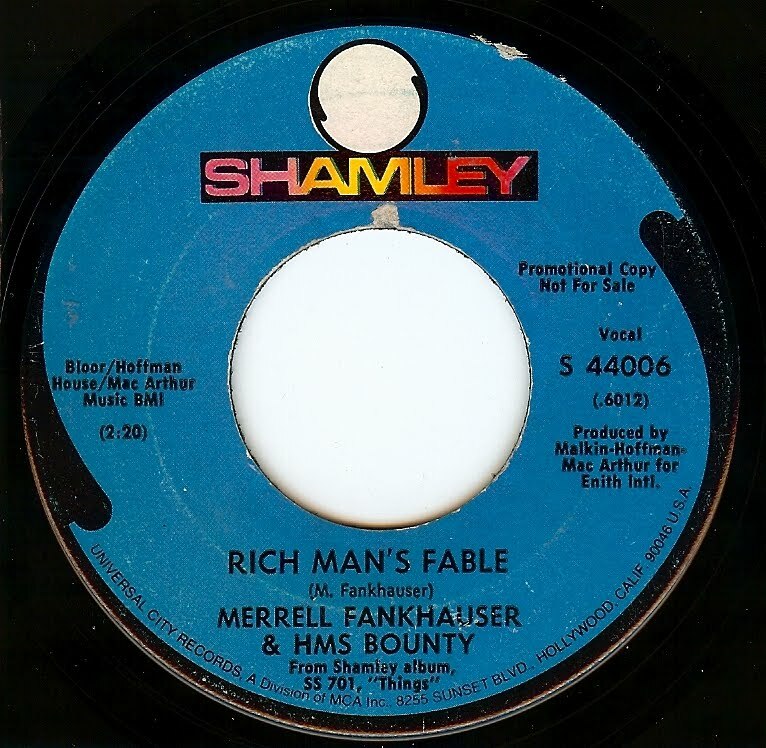 After relocating to the California coast in his teenage years, Merrell played guitar in a string of groups; starting with instrumental surf and eventually settling into an excellent southern California jangle/beat/psychedelic style that is heard hear on this incredibly catchy (yet subtle) song that swings along hitting on hook after hook and climaxing with a sublime guitar break. 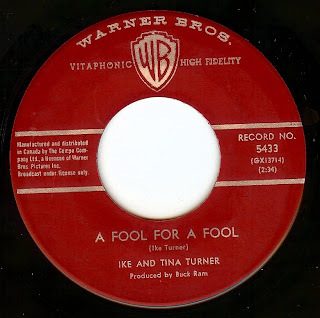 All I can say about this record is that the performance given by Tina and the Ikettes is a MONUMENTAL thing, made all the more poignant listening to the lyrics and knowing Tina's story. This mysterious English soul record is rumored to feature Stevie Winwood on vocals, and has been a hotly debated issue for many years. Personally, I don't think it's him but instead somebody closely copying his vocal style. The "Miller" listed in the co-writer and co-producer role is none other than Jimmy Miller, who later went on to massive success with his work in the studio with the Rolling Stones. 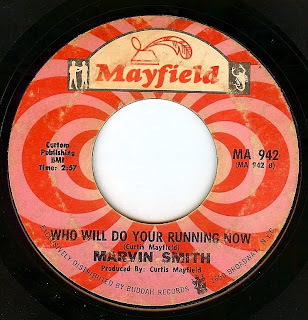 Picking up on the Calypso style rhythms that were very popular during '63-'64, this record was a massive club smash in the UK and was issued quite a few times throughout the 60's to meet the demand. My personal copy (a first pressing) is in rough shape but still sounds great; oh if this little slab of vinyl could talk. 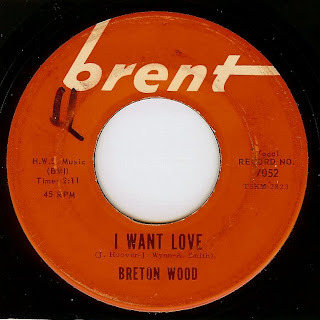 Perhaps it was part of a mod club collection, or perhaps it was played at countless parties or simply a hip teen who loved listening to it while dancing around their bedroom! 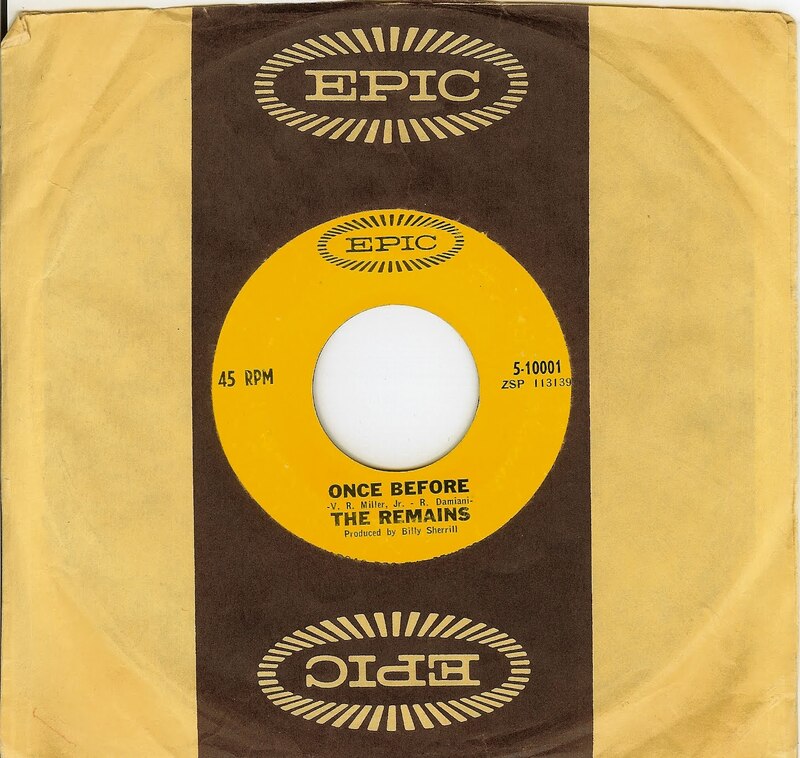 Hearkening back to almost a late 50's hard r&b sound, yet with the then modern sound of the Stax band blazing behind, this is one heck of a record. 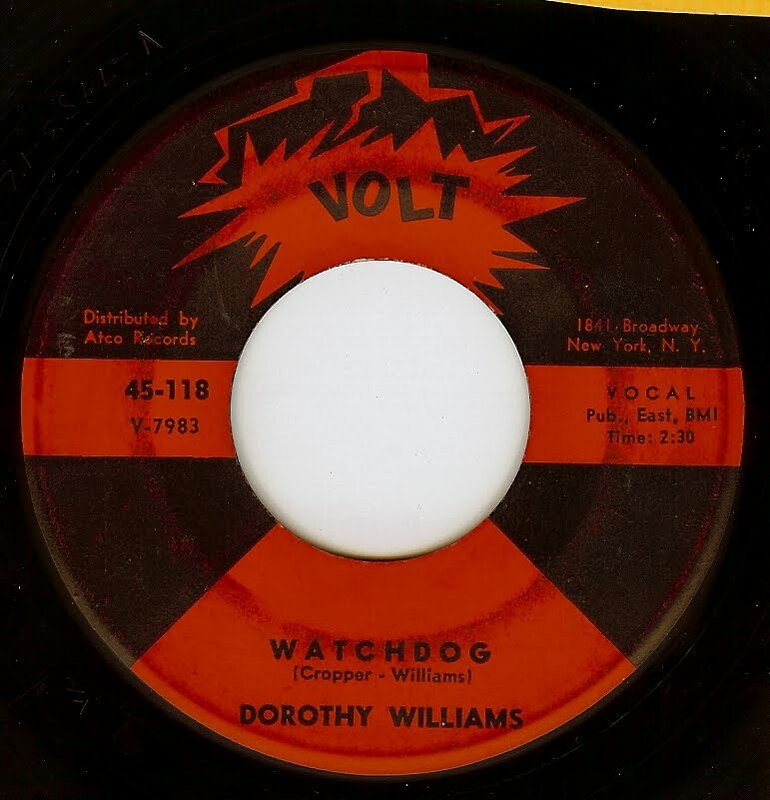 I love how the horns are pushing the tempo while the rhythm section stands its ground all the while Dorothy keeps reaching higher and higher into the stratosphere with her vocals. Powerful stuff! I only know of one other release from Dorothy Williams; surprising as she was quite a belter! 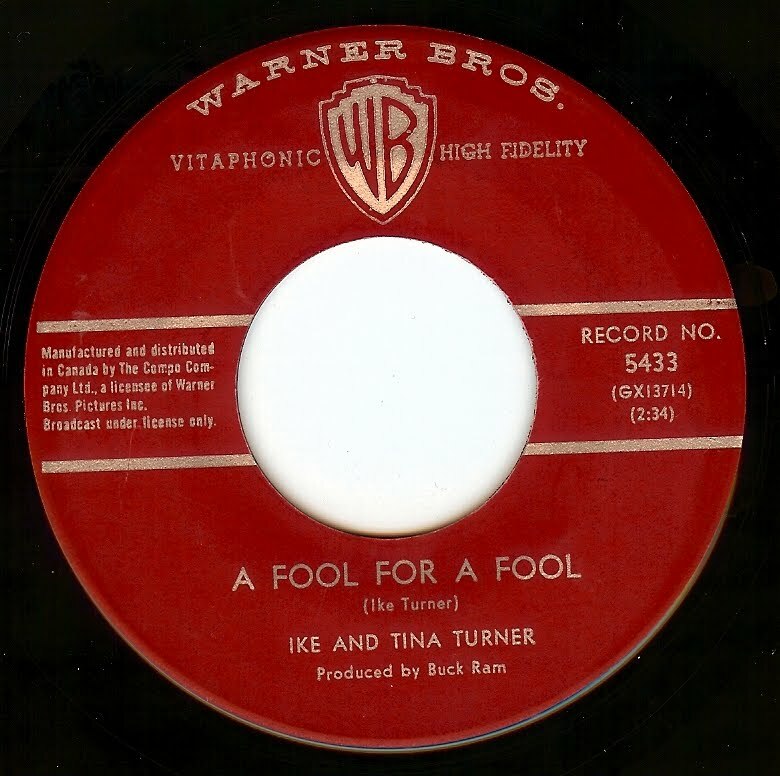 She co-wrote this record with Stax hero guitarist/ producer/ writer Steve Cropper. Here's a beautiful track from Oakland, CA's finest harmony group; this side was a reworking of their first single for the local Boola-Boola label after they signed to ABC (I featured the OTHER side of that record in the past, as I enjoy this version a bit more). Here we find the final single from this talented Chicago group that truly deserved more widespread success (their "Never Let My Love Grow Cold" is easily in my top 20 45's of all time). 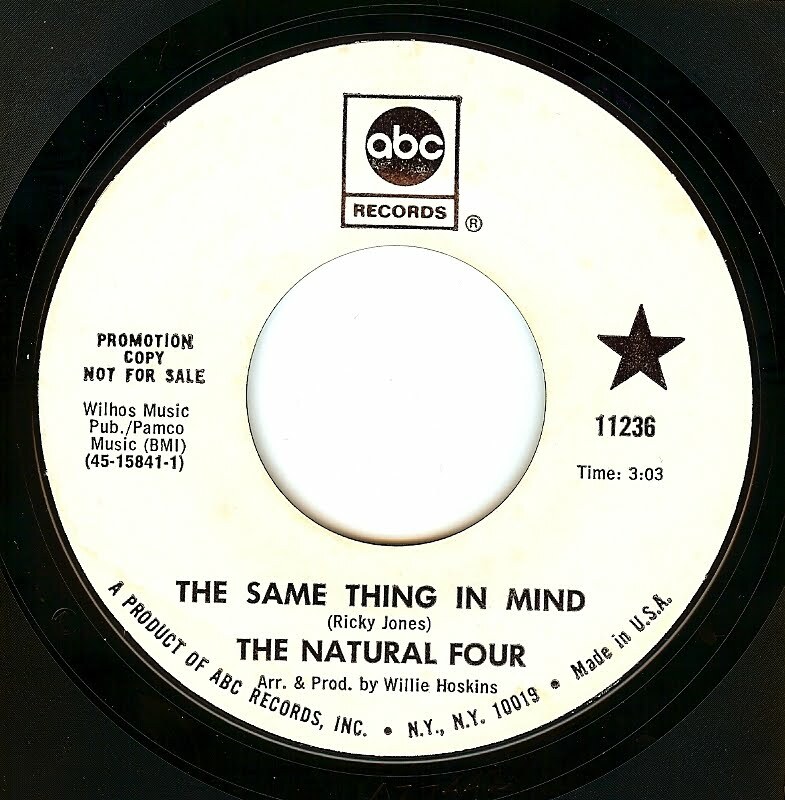 Featuring leader and songwriter Bobby Newsome, this group' run of 8 singles were ALL excellent or, at the very least, very good. 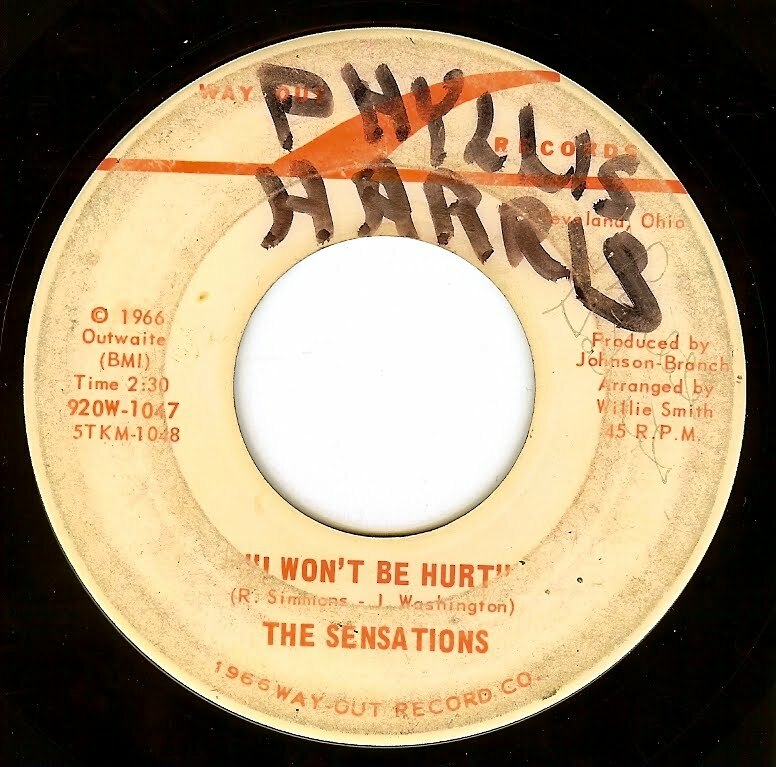 This record was recorded at the time when soul music was in flux, breaking off into sweeter group sounds or harder hitting funk. This song retains the uptown sophistication and song craft of 60's Chicago soul, with a VERY hard hitting sound that nicely nods to the funkier side of things. Talk about an exciting swan song! 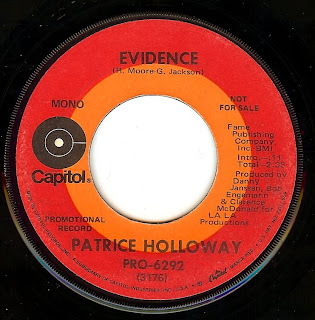 Patrice Holloway's (sister of Brenda) voice was most often heard in the "background", although the power that was at her command often brought the background vocals right into the foreground! 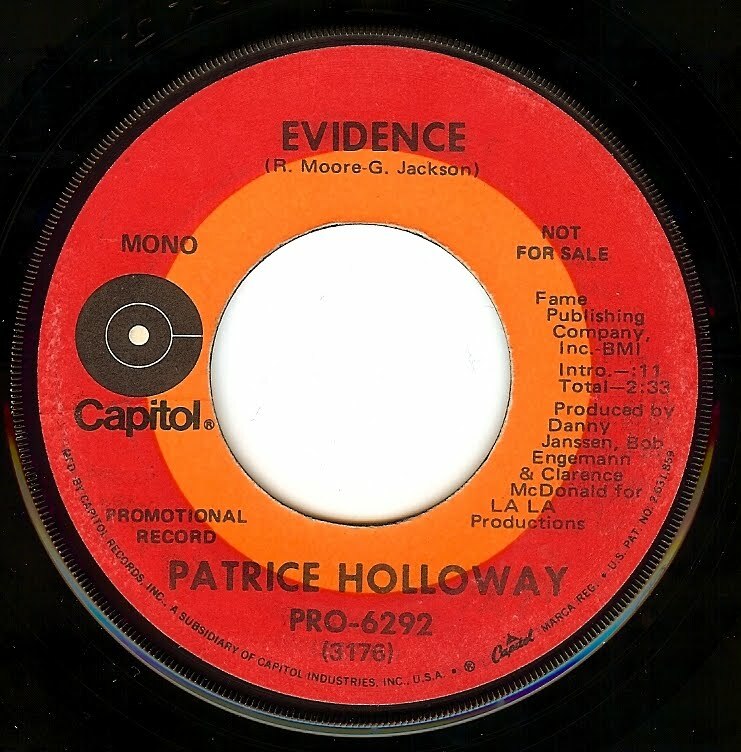 Her career began VERY young (by the time she was 14 she had a whole slew of sessions under her belt), and tragically ended far too young (she died of a heart attack at age 58 in 2006) but between works with her sister, Josie and The Pussycats recordings, rumored appearances and her own precious few recordings, Patrice has one helluva legacy. And here's some EVIDENCE to that fact! While my preferences and allegiances will always remain firmly rooted in the harder edged sounds of 60's soul, there's quite a few "modern" soul gems that have grown on me recently, and this sweet little number truly tugs at my heart strings. 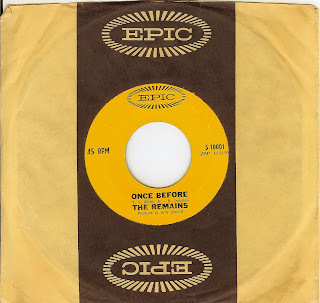 As leader of the Chi-Lites, Eugene Record wrote a staggering amount of great records until the group ended shortly before this record was cut. Sadly, it didn't achieve any type of hit status in this disco dominated era. The relaxed groove and sweet lyrics just feel PERFECT for a relaxed, sunny Labor Day. 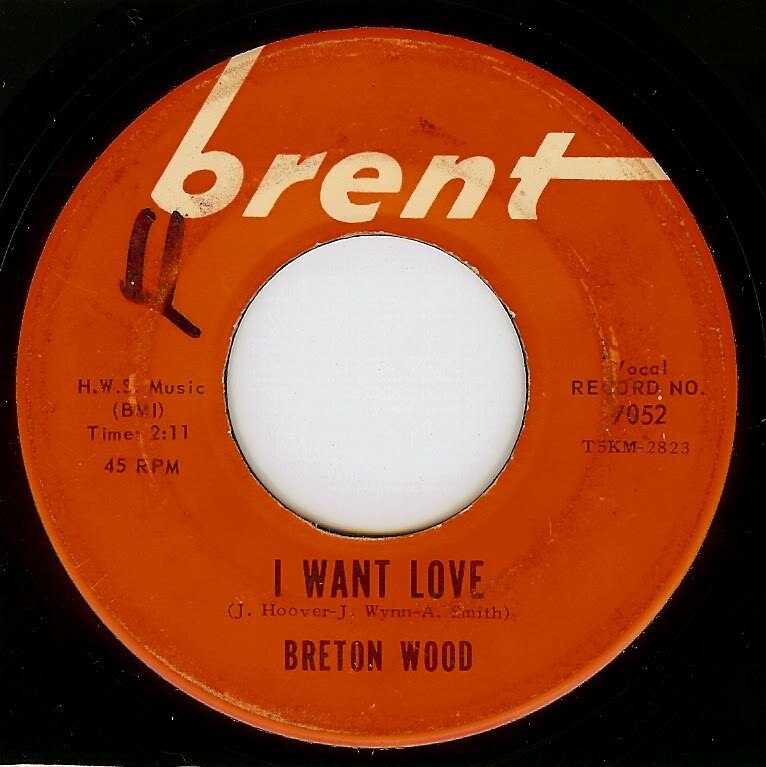 The popularity of Brenton wood is so massive here on the west coast that a friend of mine who manages a local chain record store told me that his greatest hits CD is the all time biggest selling CD in their chain. There IS HOPE FOR THE GOOD TASTE OF THE WORLD YET!!! This is the third (and hardest to find) side I've featured from this superb Philadelphia group. 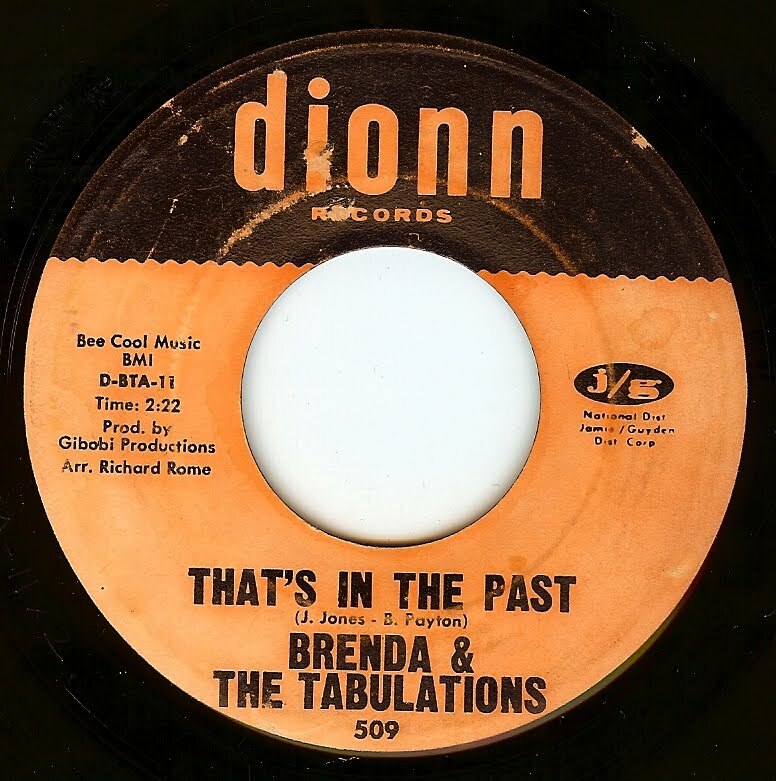 I love how, starting at about 1:30, the swirl of sound gets so strong Brenda just keeps pushoing harder and harder to be heard. Quite a performance from all involved. 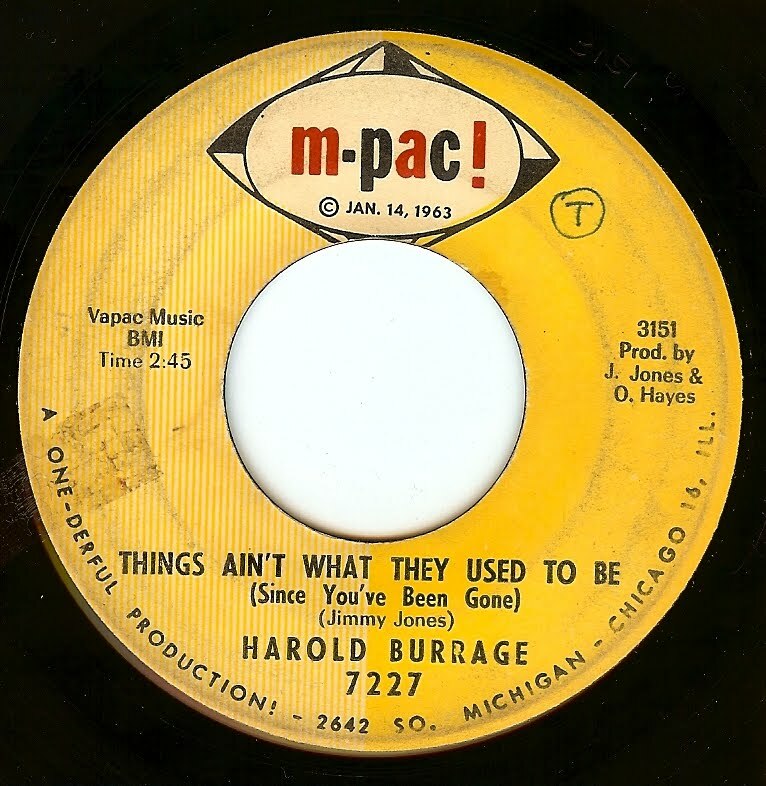 Harold Burrage is one of the most important, yet overlooked, figures in Chicago soul whose recording career began in 1950. 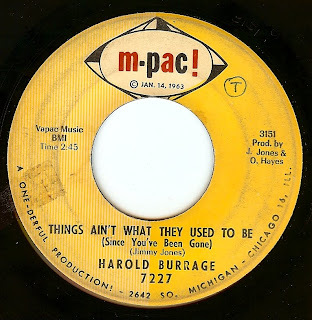 Dying far too young (age 35), he never lived to see the success of his proteges Otis Clay and Tyrone Davis, and he only had one minor national hit (although most of his records were huge regionally in Chicago). 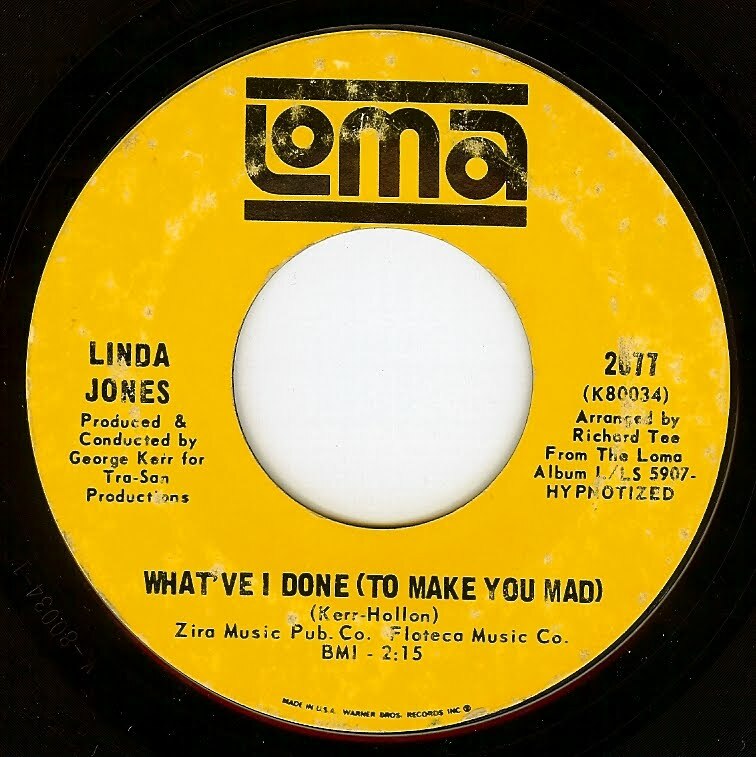 I love the steady restraint (which somehow manages to drive forward) that the musicians show on this track, with an incredible guitar break and a lush bed of Hammond B3 underneath. And, at the end of the track, a male version of the Vandellas comes in for a final little backing vocal hook. Brilliant arranging. 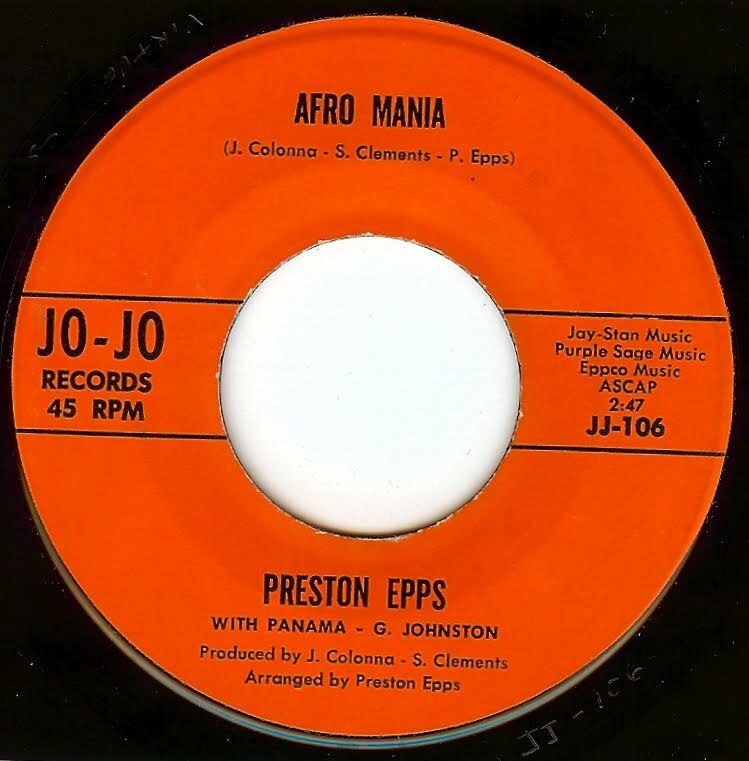 While he had a hit a few years earlier with "Bongo Rock", this track finds Preston Epps bringing his bongos into a far, far funkier setting, with some of the coolest drum breaks EVER. I love how even the WHISTLING on this track is funky.